Re-create Olivia's adventures (or make up new ones!) 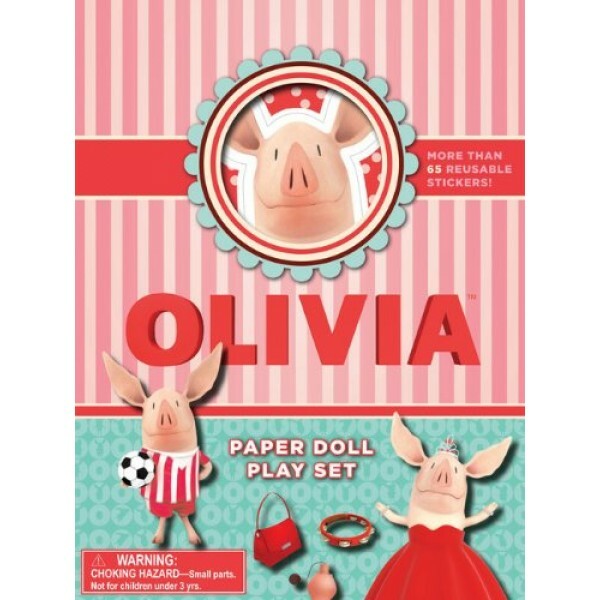 with this adorable paper doll play set. Choose clothes, props, and accessories from Olivia's extensive wardrobe featured in the popular television show. Enjoy great value with 1 stand-up Olivia doll, 2 stand-up friend dolls, 2 play scenes, and 80 reusable vinyl stickers! 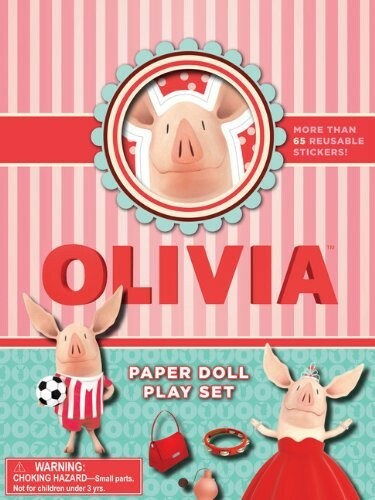 For more Olivia books, toys, and costumes, visit A Mighty Girl's Olivia Collection. For more girl-empowering paper dolls sets, visit our Paper Doll Collection.